WASHINGTON — The Trump administration announced on Monday that it was broadening sanctions against Venezuela, blacklisting four government officials and banning a digital currency President Nicolás Maduro created last month to circumvent financial sanctions on his economically strapped nation. The White House said the new measures were intended to send a message to Mr. Maduro’s government, which it has accused of corruption and repression, that the United States remains focused on the economic devastation in Venezuela, and holds the president and his associates directly responsible for creating the conditions there. The nation is in the throes of food and medicine shortages and a collapse of the health system as well as other government services, circumstances that have prompted hundreds of thousands of Venezuelans to flee. The intensification of sanctions comes as President Trump prepares to attend the Summit of the Americas next month in Lima, Peru, where the crisis in Venezuela will be a central issue. Vice President Mike Pence is scheduled to deliver a speech this week at the Organization of American States in Washington, where he plans to call out “the Maduro regime’s lawless actions,” according to a spokeswoman, and urge swift action to address the humanitarian situation and restore political order. The sanctions also come just two months before Mr. Maduro is to stand for re-election in a race he is expected to win given his control of Venezuela’s political and judicial machinery. The United States is among the countries that have declared they will not recognize the results. “President Maduro decimated the Venezuelan economy and spurred a humanitarian crisis,” Steven Mnuchin, the Treasury secretary, said in a statement announcing the newly blacklisted individuals. 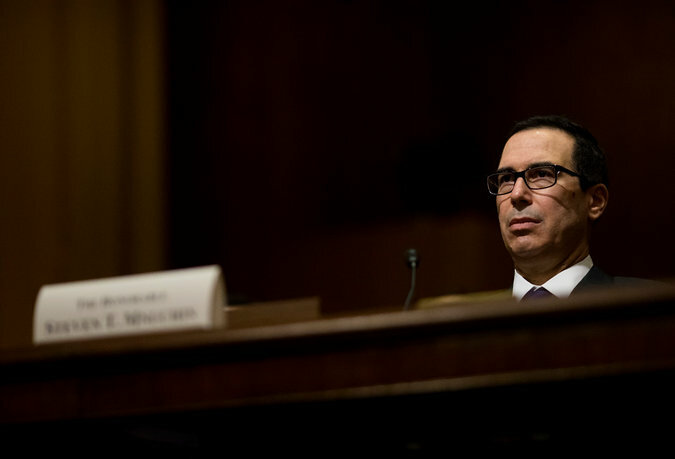 Mr. Mnuchin cited the individuals for “economic mismanagement and corruption” and blasted an attempt by the Maduro government to evade sanctions through the creation of a new digital currency known as Petro. “Instead of correcting course to avoid further catastrophe, the Maduro regime is attempting to circumvent sanctions through the Petro digital currency — a ploy that Venezuela’s democratically elected National Assembly has denounced and Treasury has cautioned U.S. persons to avoid,” he said. The administration’s announcement came a few hours after Mr. Trump signed an executive order barring the use of any digital currency issued by the Maduro government since Jan. 9. Mr. Maduro announced last month that his country had begun a presale of the Petro, backed by the nation’s vast petroleum reserves. The Venezuelan government called the launch a response to a financial crisis that has prompted a profound devaluation of the national currency, the bolívar, and quadruple-digit inflation. Senior Trump administration officials said the sanctions were meant to apply to the Petro or any other currency issued by or on behalf of Venezuela. 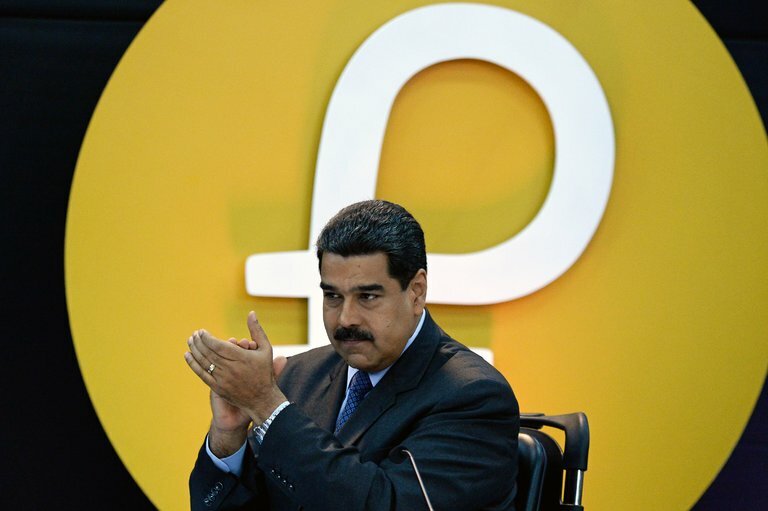 One official said the Petro should be viewed as directly supporting the Maduro dictatorship and its attempts to undermine democratic order in Venezuela, calling it a scam to defraud international investors. The officials spoke on the condition of anonymity to describe the sanctions and their purpose. Whether the sanctions will achieve their intended effect of destabilizing the government remains to be seen, but some experts cautioned that the moves could actually hurt Venezuelans in the short term. “We urge Maduro to distribute humanitarian aid and stop blocking much-needed foreign assistance to the suffering people of Venezuela, and we again call upon the Venezuelan military to respect and uphold the Constitution,” Mr. Mnuchin said. The four people sanctioned by the Treasury Department on Monday are current and former officials who played key roles in Mr. Maduro’s government and political network. Américo Alex Mata García is a Venezuelan state bank director who allegedly solicited and funneled $35 million from Odebrecht, a Brazilian construction company involved in a worldwide corruption scandal, to Mr. Maduro’s presidential campaign in 2013, the department said. Willian Antonio Contreras heads the agency responsible for imposing price controls in Venezuela. Nelson Reinaldo Lepaje Salazar is the acting chief of the Office of the National Treasury of Venezuela, which has been the subject of previous corruption allegations, including that Mr. Maduro stole nearly $10 million from the agency. The department also designated Carlos Alberto Rotondaro Cova, the former president of the board of directors of the Venezuelan Institute of Social Security, the government agency in charge of providing patients with drugs for chronic conditions. The four will have any assets subject to United States jurisdiction frozen, and Americans are generally barred from engaging in financial transactions with the individuals. The sanctions announced on Monday notably did not include any restrictions on the oil sector in Venezuela, a drastic step that senior Trump administration officials say is still under consideration. Rex W. Tillerson, the departing secretary of state, has suggested that Mr. Trump is considering a ban on imports of Venezuelan crude to American refineries. That would be a crippling blow to the national oil company, Petróleos de Venezuela, or PDVSA, since the United States is its biggest customer and few refineries outside the United States have the capacity to process Venezuelan heavy crude. One Trump administration official said on Monday that the step required further study because it would have serious ramifications not only for the Maduro government, but for the people of Venezuela and the American economy. The official said the administration was exploring both broad and surgical sanctions against Venezuelan oil interests. The executive order, with its explicit ban, is likely to serve as a warning for other countries that have been looking at issuing virtual currencies to work around international sanctions. Russian government officials have discussed creating a so-called crypto ruble for similar purposes, but have not moved ahead with the plan so far. Risa Grais-Targow, the director for Latin America at the Eurasia Group, a political risk analysis consultancy, said given that the Petro has not yielded significant benefits in Venezuela — the currency has not proved profitable despite Mr. Maduro’s grandiose claims, she said — the sanctions are unlikely to have a major economic impact. “It’s more symbolic,” Ms. Grais-Targow said of Monday’s measures. “The Trump administration’s desire here is to continue to gradually ratchet up sanctions on the Maduro government, and this is something that is lighter, maybe lower-hanging fruit as they consider sanctions on the oil sector that would be more politically controversial and produce a sharper economic bite,” both in Venezuela and in the United States.